Obituary – Failing, Betty Jo (Schinerling) « Perry High School Alumni Association, Inc.
﻿Jr. Play Cast ’45-’46; Y-Teen’s; Teen Town Council ’46-’47; Red Hots ’45-’47; Drill Leader of Red Hots ’46-’47; Library Staff ’45-’46; Office Staff ’46-’47; Student Council ’45-’46. Betty Jo Failing, 78, of Red Rock, Oklahoma was the daughter of George Joseph and Mary Beatrice (Kime) Schinerling. 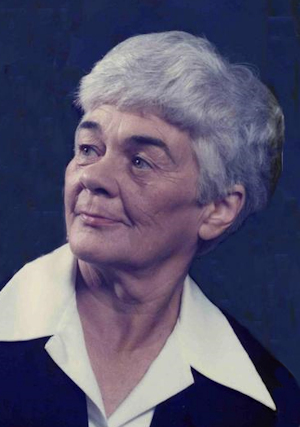 She was born November 2, 1930 at Perry, Oklahoma and died Monday, April 20, 2009 at Perry Memorial Hospital. 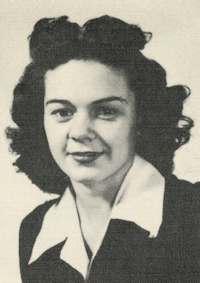 Betty Jo was a 1947 graduate of Perry High School. She and Bill Ray Failing were married on September 18, 1947 in Perry, Oklahoma. They celebrated their 60th wedding anniversary in 2007. Betty Jo was a homemaker who enjoyed farming and ranching, fishing, reading and playing bingo. She was a member of Ranch Drive Baptist Church in Ponca City, Oklahoma. Memorial services will be at 11:00 a.m. Thursday, April 23, 2009 in the Ranch Drive Baptist Church at Ponca City. Rev. Gerald Jerry Graber will officiate. Services are under the direction of Brown-Dugger Funeral Home of Perry. Memorials may be made to the Ranch Drive Baptist Church in care of Brown-Dugger Funeral Home, 1010 N. 7th Street, Perry, Oklahoma 73077. Jo was preceded in death by her parents, George and Bea Schinerling.